O, Canada! Where are you, my Canada ? Before the first light of day, in the few minutes before the sun rises below the white marble dome of Lahore’s Shahi Mosque, the call of “Allah o Akber” resonates, pouring out from lofty, red stone minarets and flooding streets and alleyways. Mostly old men, but also a few younger ones, rush to answer the call with eternal devotion. 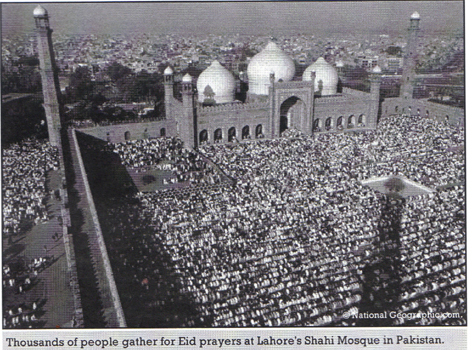 Elsewhere similar calls are being made from countless minarets. Many of the city’s 10 million inhabitants heed the call, but some who are lazy like me, mark time and struggle to cling to their dreams. Now, oceans apart, the first rays of sun strike another minaret, the CN Tower, signaling a new day. Breakfast Television goes live and I jump out of bed and rush to the coffee maker. Immigration. Expatriation. Exile. An immigrant from Peru, an expat from India or an exile from Palestine, they all appear and exist separately here. Except me, I am all of them. I immigrated to Canada for economic opportunities, but I am also in exile, as I cannot live in my native Pakistan. And yet, I am an emotional expatriate who dreams of going back one day. But with roots growing and spreading here in Canada, my compass is broken. My thoughts are here and there at the same time. The minarets of Shahi Mosque murmur far away, but in my dream they rub shoulders with the gleaming heights of the CN Tower. There is some comfort knowing that the sky shelters both sides of the ocean. I recall a conversation with a Montreal-born author in his thirties who had settled down with a successful publisher, slightly older than himself, in Paris. From the back seat of the taxicab, he was explaining: “Toronto lacks essence. Each day, hundreds of hopeful new immigrants arrive at Pearson international airport, each loaded with credentials and dreams, but for the next 10 years they have no identity. “They become nobody in particular, but from their perspective they are swimming against the current of Niagara Falls! A few may jump out and appear on posters celebrating their diversity, Canada’s multiculturalism, but many will fail." “Toronto never becomes the melting pot of its diversity, like London or New York,” the man is saying. There's a hidden deal for newcomers, unspoken rules. Swap your credentials for minimum wage and work long hours and your kids will get the benefits of a quality education and better job opportunities. Meanwhile, you get a lifetime guarantee on welfare cheques, burritos and halal meat. Many mistake multiculturalism as a fair deal; Canadians brag about it. But who really understands it? Sometimes it resembles a colony of bees. The queen bee and her associates rest in the centre of the hive, while worker bees collect sweet nectar to feed them. For immigrants, a similar cycle is hard to break: improve your language skills, get job training, a mortgage, maybe some credit cards, an RRSP, then get laid off, start your second career training, file for bankruptcy, move into social housing, donate your organs, and, finally, make funeral arrangements. A few lucky ones manage to break the cycle, while the rest of us become losers for life and end up driving cab and delivering pizzas. Contrast the American dream. From each new beginning, people arrive there already marginalized. Slowly they try to move to the centre, making or pretending their issues match the mainstream. Newer newcomers take their place at the margins. The process is fusion, a melting pot for a cohesive society. O, Canada! Multiculturalism has become tolerance, but how much? There are exceptions. I see Brampton, a small city touching Toronto, where new immigrants, especially southern Indians, blacks and eastern Europeans are reinventing themselves, building shopping malls and their own community centres from scratch. 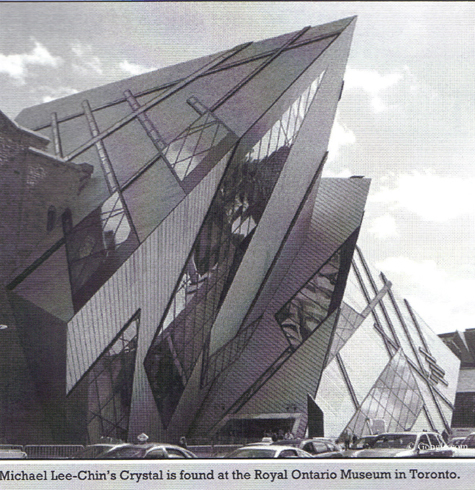 Late at night, I drive by Michael Lee-Chin‘s Crystal, growing out of the Royal Ontario Museum. Lee-Chin is a Chinese-Jamaican immigrant, who began his own billion-dollar odyssey here almost 40 years ago. Rags to riches, his story rises with a donation of $30 million to build the crystal, the price of admission to Toronto society’s royal club! An edtorial wrote in 1999, which sadly forcasted; what Pakistan looks today!